In the heart of the Trastevere district, a few meters beyond the Settimiana gate, along via della Lungara, the via Sancta for pilgrims walking towards the tomb of Pietro, we reach the Church of San Giacomo alla Lungara. With over a thousand years of history behind it, the Church has been in time a crossroads of religious and social events that have characterized the life of the capital. It is very likely that the decision to dedicate the church to St. James was made by virtue of the discovery of the Apostle’s tomb in Galicia, and around which the mass pilgrimage phenomenon towards the Campostela sanctuary was beginning at that time. of Christians from all over Europe. 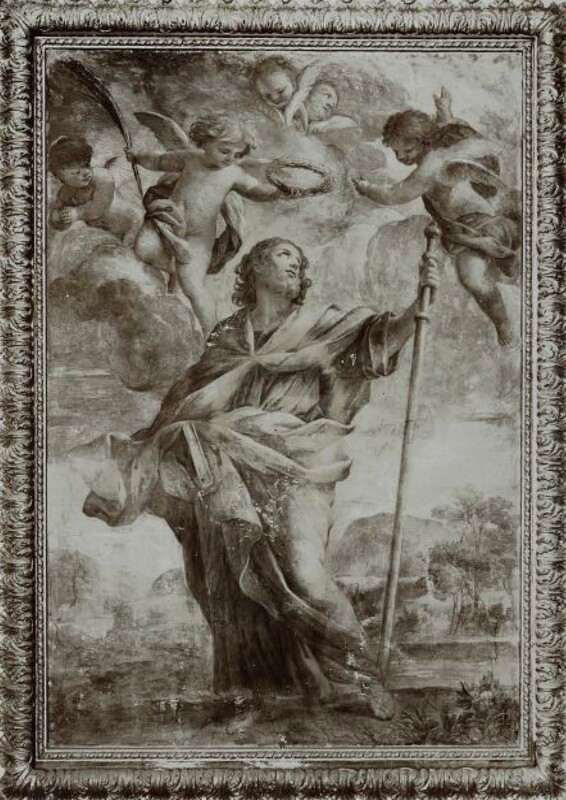 The work depicting St. James, placed in the interior today with a single nave on the high altar, was commissioned to the Viterbo painter Giovanni Francesco Romanelli (1610-1662) called Raffaellino. The paint depicting St. James the Apostle today presents the inexorable signs of the time that cloud its natural and original beauty. The current state of conservation does not allow to fully appreciate the quality of the image and the depth of colours and colour shades. A preliminary diagnosis study on the paint, combined with a targeted restoration project, is the main objective of the project, which initially foresees the temporary adoption of the painting by Verderame, the cultural project, which will deal with all the recovery operations. 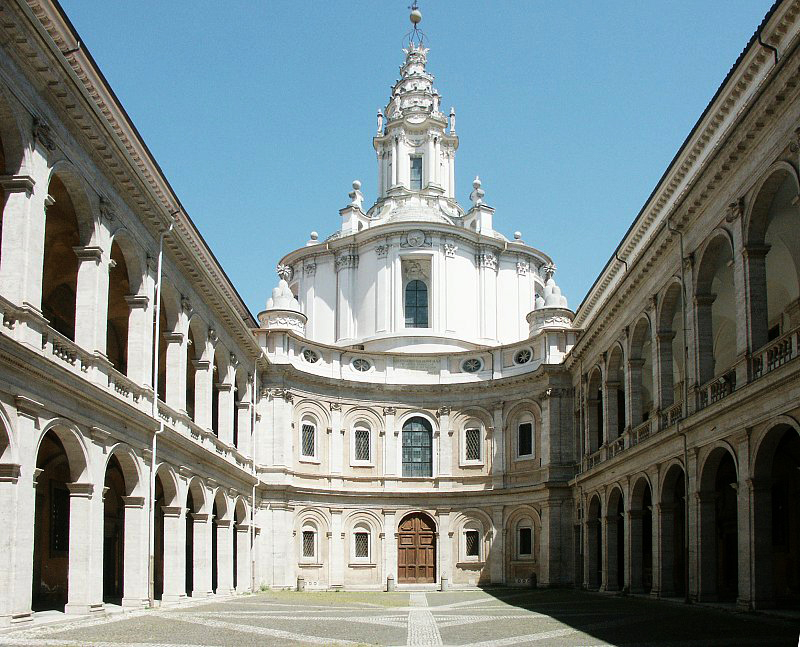 conservative aimed at restoring splendour to the paint and its main protagonist of the Church and of the monastery. The realization of the restoration will be “open door. Contacts are in progress with the proprietary institutions and at the same time research has begun to explore the interest of potential partners. The altarpiece of the church, depicting St. Ivo Advocate of the poor, is a masterpiece initiated by Pietro da Cortona in 1660, and completed by his collaborators. The painting, which is large in size (8.25m by 3.75m ), shows clear signs of aging and is by now totally unreadable. The intervention for the study and restoration taking place in the church itself is expected to last at least two years, and the restoration site will be open to visitors who will be able to follow all stages of the work. In agreement with the State Archives, research will be conducted to find any existing documents concerning the history of the work of art and if necessary, they will also be restored. Contacts are underway with the proprietary institutions whilst at the same time looking for potential sponsors. When women start to paint: woman artists in Rome from ‘500 to revolutionary time. In collaboration with the Associations Artemisia Gentileschi e Metamorfosi. The result of research carried out by Consuelo Lollobrigida, an art historian expert of the subject, has been and is quite surprising. In fact, an eclectic reality has emerged around the artists’ women, faceted and lively than they could imagine until a decade ago. Accurate and thorough investigations are opening a new way of art in the sixteenth and seventeenth centuries of Rome, characterized by a vitality and feminine participation not dissimilar to the Florentine and Bolognese scenes. This is therefore an exhibition, the first Roman exhibition entirely dedicated to the artistic production of women in Rome between the 17th and 18th centuries, and precisely the 1607, year of the official entrance of women at the San Luca’s Academy, and the year 1798, year of the Roman Republic. Declined in the various pictorial techniques, in the various genres and in the various fields of application, we will discover, in addition to painters and weavers, an architect, several sculptors, and many women involved in the engraving technique. Some artists are Roman of birth, others of adoption, others still traveling in the capital of the modern age. The exhibition will be divided in time periods, with the firm conviction that this work will constitute the first great repertoire of female art in Rome. 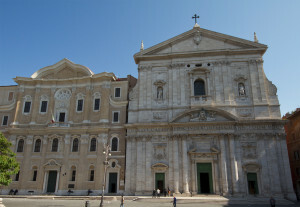 The nave of the New Church, in the heart of historic Rome, hosts 15 major masterpieces of the Baroque period. The paintings were made between 1697 and 1700 by master painters of the school of Pietro da Cortona and Carlo Maratta – Lazzaro Baldi, Giuseppe Ghezzi, Daniel Seiteretc – and they represent the salvation of mankind through episodes of the Old and New Testaments. The project idea is to set up a restoration site within the spaces of the convent, which will be open to the public for the duration of the conservative intervention that will last three to five years. It will be possible to follow the restorers’ work every day, and admire these masterpieces up close for the first time. Once the conservative intervention is completed, the paintings will again be placed several meters above the ground. Contacts are underway with the proprietary institutions whilst at the same time looking for potential sponsors.